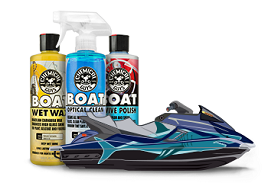 The White Paint Maintenance Kit combines the latest and most advanced products tailored for white and light color paint finishes to make white cars shine with a crisp, deep, and brilliant shine! White is unlike any color, so it requires special treatment to look its best. The distinct look of white evokes images of purity and elegance with its brilliant shine and lustrous reflection. Freshly-waxed white paintwork looks glossy and wet in its own graceful way. Certain car colors attract loyal followings, and its clear to see that White is the new Black to detailing enthusiasts everywhere. White Light Hybrid Radiant Finish is the ultimate gloss enhancer for a deep, wet, bright shine on white and light paint finishes. White Light is a premium gloss enhancer and sealant in one. Use White Light to add tons of extra deep wet shine, fill minor swirls and scratches, and clean minor stains and imperfections. 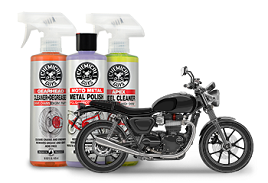 Top it with White Wax for durable protection and enhanced brilliant white shine for a distinct look. 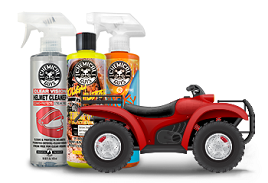 The White Maintenance Kit comes with luxurious white Monster Edgeless microfiber towels and premium foam applicators for an even spread and scratch-free touch on any paint finish. Indulge in the purity and brilliance of the White Paint Maintenance Kit for your white, or light color automobile.